This press release may contain "forward-looking statements", such as guidance, expectations, plans, intentions, or strategies regarding the future. These forward-looking statements are subject to risks and uncertainties. The reader is cautioned that actual future results may differ from those expressed in or implied by the statements, which constitute projections of possible developments. 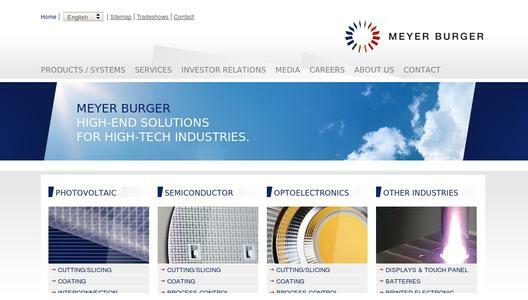 All forward-looking statements included in this press release are based on data available to Meyer Burger Technology Ltd as of the date that this press release is published. The Company does not undertake any obligation to update any forward-looking statements contained in this press release as a result of new information, future events or otherwise.